RackForms comes loaded with amazing features and tools built for one singular purpose: to build exactly what you need in record time. Please be sure to watch in HD and full screen for the best experience! Data From The Word Go. RackForms automatically takes our form submissions and creates beautiful, comprehensive charts and reporting tables from the data. We can create and save custom reports at any time, and even mix and match items from multiple questions to create a unified chart. Learn more about our outstanding reporting features. The forms we build can be in any language we choose. 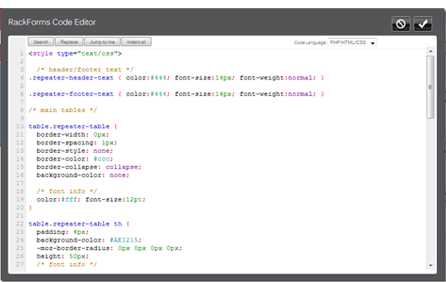 Customize everything from labels, tooltips, messages, and even text direction. 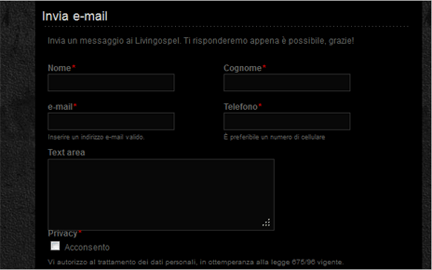 We can also define the character set encoding a form page and email uses, which is very handy for many languages. RackForms was built from the ground up to speak your language. 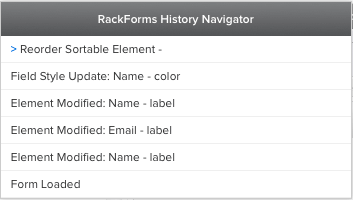 We're proud of the number of features RackForms provides, but sometimes we just want to clear away the clutter and focus on the basics. 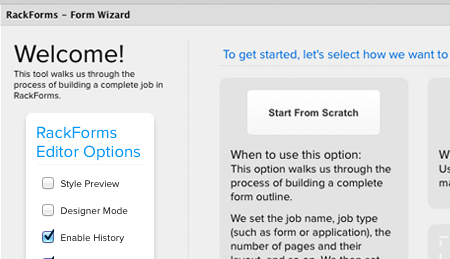 The Form Wizard allows us to quickly define an entire job outline, and then build the job with a single click. Designer Mode significantly reduces the number of options we're shown in the editor, only showing the ones that truly matter for basic form creation. This is a fantastic mode for beginners and pros alike. 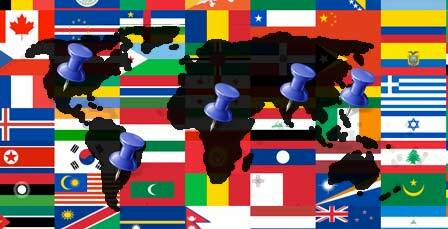 No other web form builder offers as many fields and tools as we do. From the basics like text and radio fields all the way to mobile-compatible sliders, digital signatures, autocomplete, and HTML 5 drag and drop uploads, we've got every form field covered. Use these tools to create registration and order forms, surveys, invitations, applications, contact requests, subscriptions, shopping carts, database display forms, and anything else you can imagine. Don't just create forms, let your vision rule the day and build exactly what you need. Our software is unrivaled when it comes to feature customization. 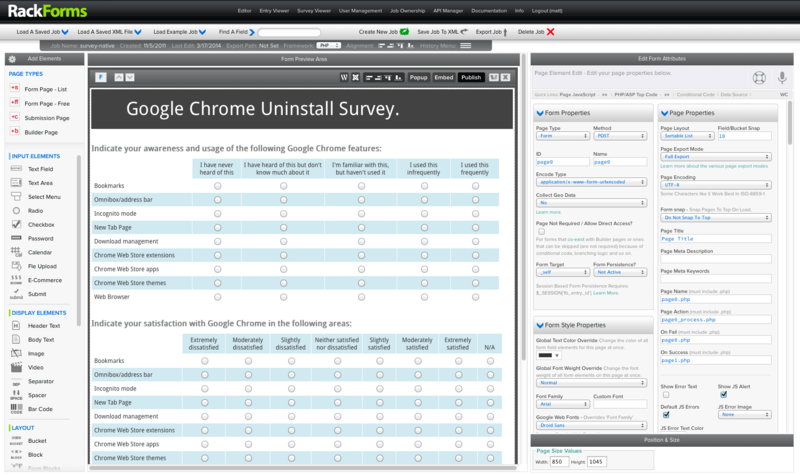 Adjust dozens of different parameters to get the exact behavior you want every time. Of course you don't need to get so detailed, all features come preconfigured straight out of the box and require no extra setup. 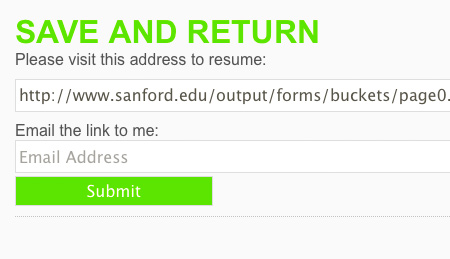 Don't just build forms, make them shine with dozens of form field style controls and options. 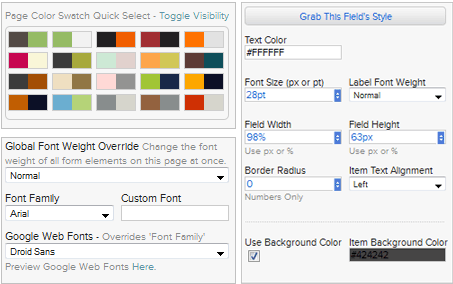 Tweak everything from page background colors and fonts (including Google Web Fonts) all to way to an individual field's padding and margin values. Better still, our software is simply untouched when it comes to form layout options. 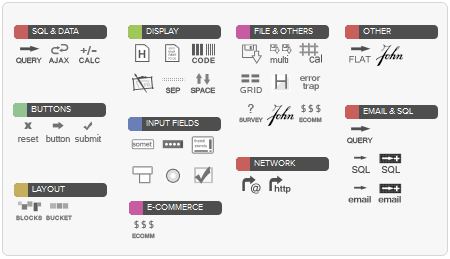 Choose from sortable lists or free-form layouts, beautiful two-column grids, or a combination of both. RackForms loves data. We've got all the basics covered like Email and Database submissions, but more importantly, at two different levels. Effortlessly send data with no coding, or choose advanced modules for professional submission tasks. Of course that's not all. 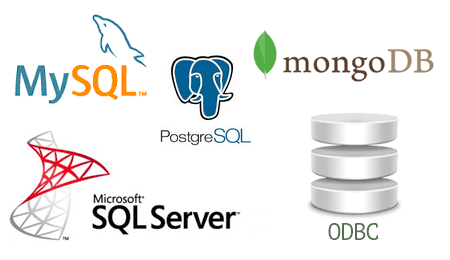 We can also query a database at any time and send the results to form fields or display elements, and use the AJAX module for real-time data calls. We can even send submissions to web services like Google Docs! Quickly build full e-commerce storefronts with RackForms, including easy to use shopping cart forms that accept credit card payments right on your site! RackForms supports all your favorite payment providers, including PayPal, Authorize.Net, 2Checkout, and Stripe. We love building forms, but at the end of the day the most rewarding part of the process is publishing them and collecting data. We make this super simple with 1-click publishing, along with several other options like dynamic pop-ups and full page. Need mobile support? No problem; RackForms automatically output's mobile, responsive versions of every form we create! Building Forms -- We've got that covered. No other form building tool offers so many features at such a great price. But with our software that's only half the deal. Where other form tools stop in their tracks, RackForms trucks right along with the incredible Builder tool-set. Put simply, the Builder tool-set is a form type where we query a database and display records to our users. This opens up a world of possibilities, and is why RackForms is the only form solution you'll ever need. 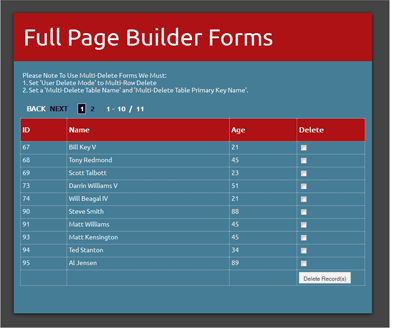 Don't just build forms, build entire applications! We're proud to be the only form solution that provides an incredibly powerful History Manager. Build forms with confidence knowing that every action you take is recorded, and can be navigated to at any time. Make changes to a form and if you're not happy, instantly roll back to an earlier point. Save a form at any point and return when convenient. Better still, we support three distinct modes, including the brand new Fully Automated. In this mode users simply copy or email a URL, which picks them up at the exact spot they left off. 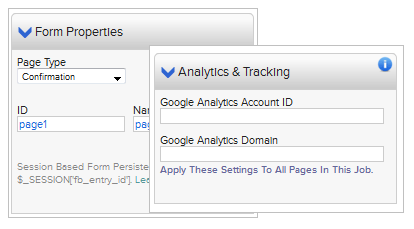 See how your form performs with a beautiful analytics view. Better still, this view is visible right in the editor, which makes changes easier to implement and study. With RackForms, we have direct access to any Joomla or WordPress installation, right from within the form editor! Browse posts and pages, and then quickly insert forms into those items at will. 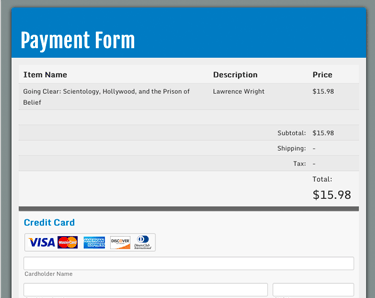 We can even preview our forms with a single click! Our PDF file format support is truly world-class. Drag and drop PDF originals to create web forms, and use built in PDFTK integration to export form submission back to PDF originals. Of course we can also save and email PDF files at any time, as well as create PDF copies of web form pages for email or direct download. 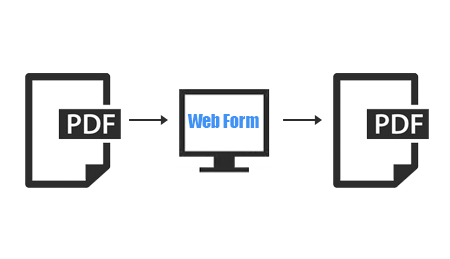 RackForms makes supporting and working with PDF files simple! The RackForms editor fully supports domain logins via Active Directory. This incredibly powerful feature makes integrating RackForms into workplaces a snap. Even better, we can also create forms that use Active Directory login services, protecting your forms and users quickly and easily. See Even More Standard Features, or Check Out Our Advanced Features!